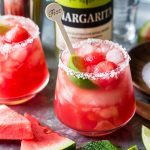 This Watermelon Mint Margarita is a fun and refreshing cocktail made with fresh watermelon, mint, blanco tequila, and P&M Classic Margarita mixer. 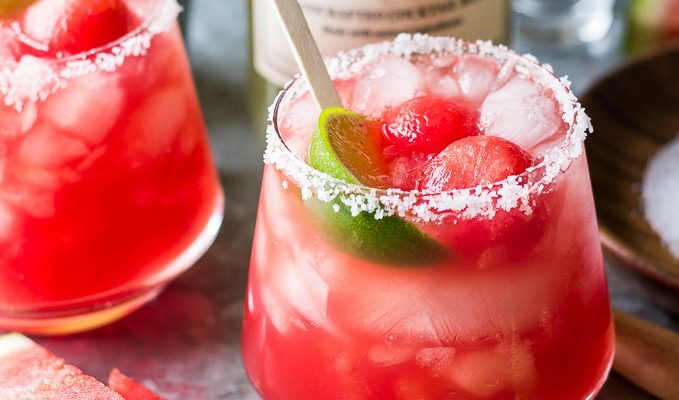 It’ll make you want to celebrate summer all year round! Big thanks to our friend MaryAnn from @thebeachhousekitchen for the recipe and photography! 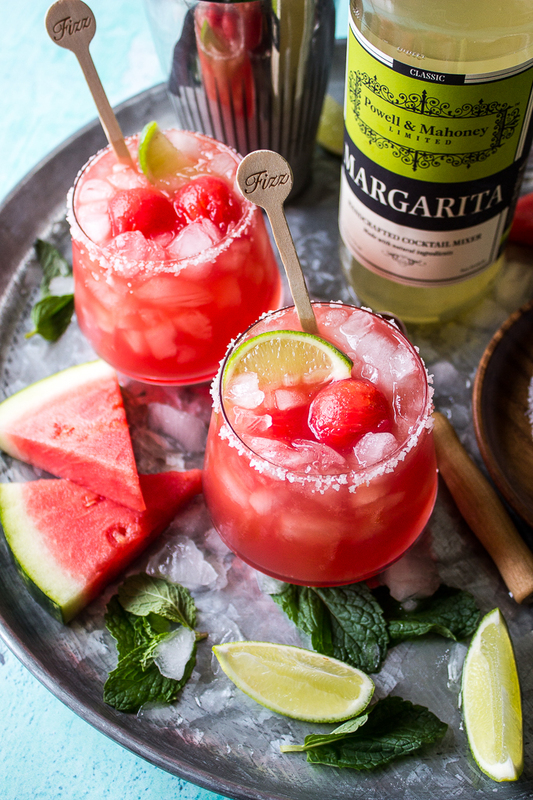 This Watermelon Mint Margarita is made with fresh watermelon, mint, blanco tequila, and P&M Classic Margarita mixer. Place salt on a small plate. 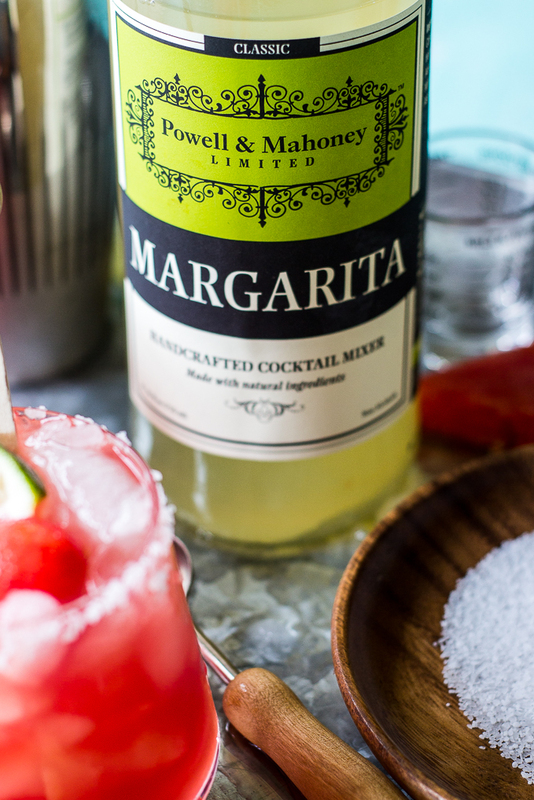 Rub the rim of your glass with a wedge of lime to moisten. Dip in salt. Set aside. Muddle watermelon and mint in a cocktail shaker until watermelon is in small pieces. Add the tequila, the P&M Classic Margarita mix and some ice. Cover and shake vigorously, about 20 seconds. 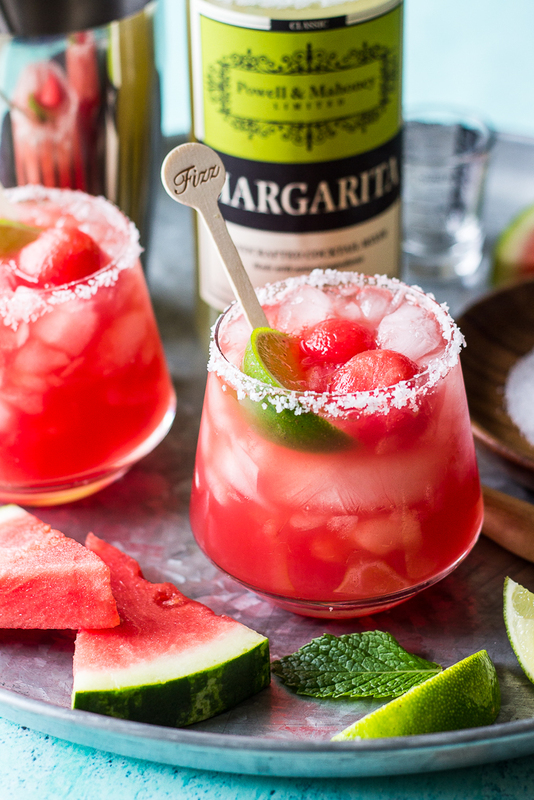 Garnish with watermelon balls and a slice of lime.